I loved the TwoClock since the first time i saw it. But the prices were insain. And I thought, how difficult could it be to make it myself? 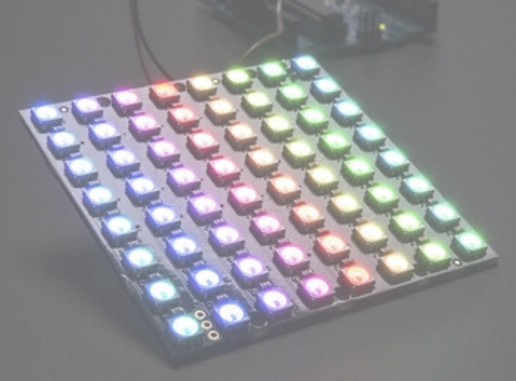 I had a couple of 8×8 RGB matrices laying around, and with help of the great Adafruit tuturials (https://learn.adafruit.com/adafruit-neopixel-uberguide/neomatrix-library) figured out how to address the RGB pixels. Started the deveoping of code with the Arduion Mega 1280, for easy access to IO. When I was done, I moved on to use Arduino Pro Mini ATmega328P clones from China. The norwegian telling of time is a bit different from english. instead of “half past one”, we say “half two”. And “twenty past two” becomes “ten to half three”. So my code is pretty much useless for the rest of the world, unless you redo the logics. 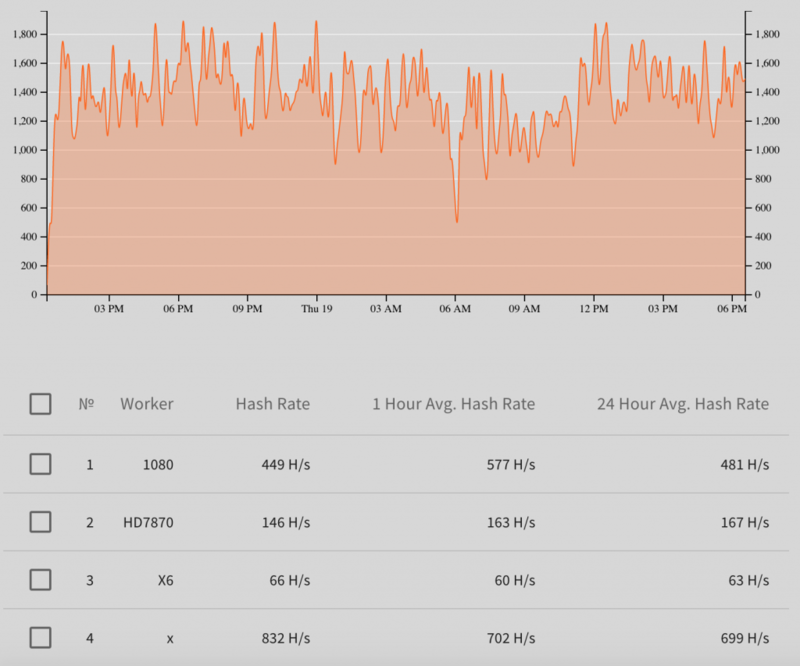 A week ago my Ubuntu mining rigs started failing one by one. The only thing I had done was rebooting them. LSHW shows all display cards as *-display UNCLAIMED. Googling a solution for this got no definitive solution, everywhere they say the AMD driver was broken. Starting XMR-STAK-AMD gives this error, meaning it can’t find any GPUs. Meny items starts at 0. The kernel version I want to switch to is 4.10.0-28-generic which is item number 6. Open Grub and setup this meny item. Change this line from 0 to 6. 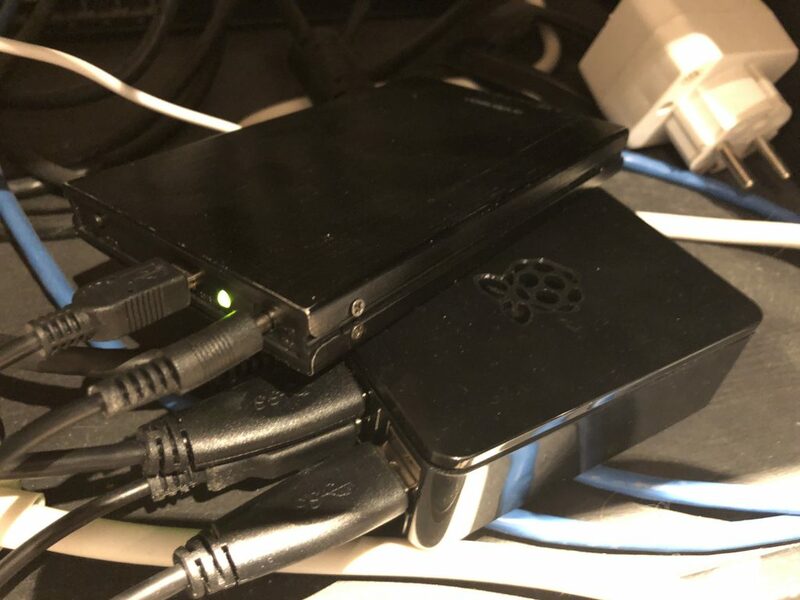 Create your own IOTA node. I have build my own little cinema room with a 109″ projector screen. Through the years I have used prettu much every media player there is. There is allways some limitations on control, display and movie handling. The latest years I have used Kodi media player, formerly known as XBMC, on a Raspberry. First on a RPi 1, this could only play 720p smoothly, then on a RPi2 that played 1080p smooth, but not including DTS sound. At last we got RPi that plays 1080p with any sound perfectly. I have a bunch of small SSD laying around, and some I have put in a USB cover. The SSD would handle all the buffering writes much better. And maybe it would be faster. Here is the step by step guide that worked for me. Download XBIAN Kodi, there are others, but this one have worked best for me. Burn to MicroSD card with Rufus (Windows), Etcher (Windows/MacOS) or Linux Live USB Creator. All these works perfect. Boot up with MicroSD to check the system is running OK. Note the IP in Kodi. Clone the Xbian Kodi MicroSD to SSD with this Adafruit guide. Pay attention to page 2 where you set up the Rpi to boot from SSD. The MicroSD card still have to be mounted. <readfactor> – This factor determines the max readrate in terms of readfactor * avg bitrate of a video file. Starting up Xbian Kodi with this setup from SSD, and I can play 40GB Bluray rips *cough* I mean backups, over network with no problem. The menus are also much faster. Fix – Unable to mount unclean NTFS disk after not correct shutdown of Windows. Mounting volume... The disk contains an unclean file system (0, 0). Metadata kept in Windows cache, refused to mount. FAILED Attempting to correct errors... Processing $MFT and $MFTMirr... Reading $MFT... OK Reading $MFTMirr... OK Comparing $MFTMirr to $MFT... OK Processing of $MFT and $MFTMirr completed successfully. Setting required flags on partition... OK Going to empty the journal ($LogFile)... OK Checking the alternate boot sector... OK NTFS volume version is 3.1. NTFS partition /dev/sdd1 was processed successfully. Save changes and update/rebuild grub. XMR-Stak-NVIDIA mining software, NVIDIA Version. NVIDIA mining code was written by KlausT and psychocrypt. Brought to you by fireice_uk under GPLv3. Configurable dev donation level is set to 1.0 % You can use following keys to display reports: 'h' - hashrate 'r' - results 'c' - connection ------------------------------------------------------------------- [2017-10-07 03:10:22] : Connecting to pool pool.usxmrpool.com:3333 ... [2017-10-07 03:10:22] : Connected. Logging in... [2017-10-07 03:10:23] : Difficulty changed. Now: 5000. [2017-10-07 03:10:23] : New block detected. [2017-10-07 03:10:45] : Result accepted by the pool. XMR-Stak-NVIDIA mining software, NVIDIA Version. NVIDIA mining code was written by KlausT and psychocrypt. [2017-10-07 03:10:23] : Difficulty changed. Now: 5000. [2017-10-07 03:10:23] : New block detected. [2017-10-07 03:10:45] : Result accepted by the pool. I have spent countless hours trying to install CUDA on my old computer with Geforce 8800 GT with Ubuntu 16.04 – and according the matching google hits, several others also have problems. But I had to modifiy it for my use, and that is the tutorial below. Install build essentials and do an update. Download 64-bit Ubuntu driver cuda_6.5.14_linux_64.run from NVIDIA. Open up a terminal (CTRL+SHIFT+T) and check if the downloaded file cuda_6.5.14_linux_64.run is executable, it should be green. Completely uninstall anything in the Ubuntu repositories with nvidia-* A purge will completely uninstall programs and configuration. No need to create an xorg.conf file. If you have one, remove it (assuming you have a fresh OS install). Reboot computer. Nothing should have changed in loading up menu. You should be taken to the login screen. Once there type: Ctrl + Alt + F1, and login to your user. Keep the next commands handy in another machine since now you are in tty. Direct quote from Abhijeet Kislay, and this is what makes the differense from ALL other tutorials and forum posts I have seen! I cannot stress how important is the opengl flag in the above command. If you miss that, either you will get stuck in “login loop” or your computer would boot with a black screen at all times. Fix/break the header file that doesn’t want to let us use gcc > 4.8. All we are going to do is comment out (//) the error line that drops you out of a build. In nano press CTRL+SHIFT+_ to enter line number. Line: 82 – comment out error //#error — unsupported GNU version! gcc 4.9 and up are not supported! To see if we are properly done with the installation, we need to run a sample. And now everything works perfect.